CHRISTIANSTED – A St. Croix resort property is offering foodies from the mainland a chance to sample the outstanding local cuisine of the Big Island. The resort said the special vacation package includes one week in a villa, a bottle of locally made Cruzan Rum, and two VIP tickets to the Taste of St. Croix event on April 14, 2016. Travelers have a choice of three villas on St. Croix and package rates start at $2,800 for a one-week stay. For more information email relax@serenitygardenvillas.com, call 305-542-9198 or visit www.SerenityGardenVillas.com. 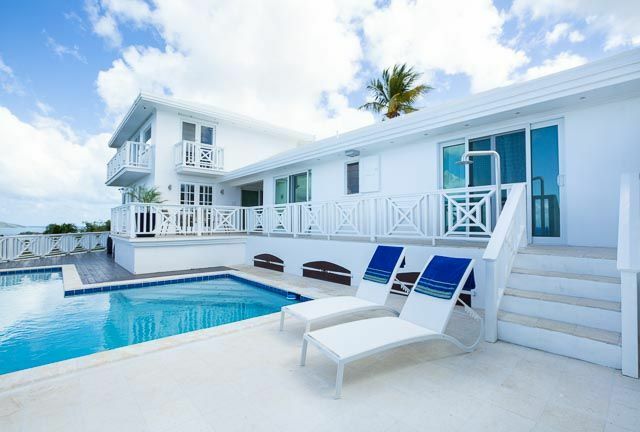 Serenity Garden Villas offers three villas on St. Croix. Buena Vista on the East End of the island features four bedrooms, a swimming pool, open kitchen and dramatic views of the island and ocean. The White House is a four-bedroom villa in Estate Shoys, complete with a pool, full-kitchen, and is walking distance to the beach. Coral Reef Estate is located in Judith’s Fancy, a friendly, gated neighborhood with three beach areas to explore. Details on each villa are available at www.SerenityGardenVillas.com. A Taste of St. Croix is an annual food event that shares samples of mouth-watering samples from local chefs, farmers, restaurants, and mixologists while sharing sips of celebrated wines, rums and beers from around the world. Some 50 restaurants compete for recognition from attendees, who vote for People’s Choice, and celebrity judges who award first through third place in each category. Past judges have included Hawaiian legend Sam Choy, Ace of Cakes’ Duff Goldman, James Beard Winner Anita Lo, Facebook Executive Chefs Tony Castellucci and Dean Spinks, and Top Chef fan favorite Tiffany Derry. The event is held every April. The 2016 event is Thursday, April 14. A Taste of St. Croix, Inc. is a 501(c)3 federal tax exempt nonprofit organization. As a benefit for the community, proceeds from Taste are directed to funding restaurant and service industry related training in addition to many civic, arts, and cultural events that help keep St. Croix vibrant. A Taste of St. Croix, Inc. promotes and showcases the talent and potential of St. Croix’s hospitality industry through fostering partnerships, sponsoring training and industry events, and building public awareness of the critical role that the service-industry fills in improving the socioeconomic future of St. Croix and the US Virgin Islands. http://tasteofstcroix.com. Serenity Garden Villas (www.SerenityGardenVillas.com) offers authentic, relaxing villa vacations in the US Virgin Islands. The on-island Concierge Team assists guests with the essentials from simple to sensational including provisioning the villa with food and beverages; creating custom island activities and itineraries; coordinating exclusive experiences from private chefs to private plane charters; and providing local knowledge on the destination. Serenity Garden Villas offers three villas on St. Croix (Buena Vista, The White House, Coral Reef Estate) and one on St. Thomas (Eden View Villa). Each villa features crisp, clean Caribbean décor; a swimming pool; WiFi and cable TV; fully-equipped kitchens; and stunning locations. For more information and reservations, email relax@serenitygardenvillas.com, call 305-542-9198 or visit www.SerenityGardenVillas.com.